As soon as you install an app and open it for the first time, what is the first thing that instantly catches your attention? Well, for many out there, it has to be its design. If an app design is intuitive, it is certain to enamor the user and next they would focus on the features. However, if an app is highly-features, but has a boring or complex design, then the users are certain to uninstall it soon enough. This is the reason that while creating an app, the designers and developers make it a point to keep the user interface as simplified as possible with just basic functionalities. After all, as easy is your app, the more it will be used by the users for their purposes. And here comes the concept of minimalistic design! So, have you ever heard of minimalistic design? Well, this basically is the key element driving users into an app. In the app development arena, it states for a plain & simple design that is concise, clear and very consistent. Now minimalistic design is not totally about the app functionality, but it is rather about the implementation of essential design elements that are responsible to make your app a success. In fact, it is said that a great app always has very clear visual communication, is easily navigable with artistic background & alluring color schemes. Here, while crafting an app, designer makes the best use of his expertise and incorporates it at several aspects like negative and white spaces and proportionality. With right visual balance, the app is able to breathe and leave a mark on users’ mind. Owing to its wide-ranging benefits, there is a huge demand for minimalistic UI design. Like as an app designer, you must keep an eye on nice minimalistic UI design for your app, and even seek inspiration from the work of others. This will certainly save a lot of your efforts, energy, and of course time. Research reveals that demand is really high for minimal UI design and right now more than 50 percent of the mobile app designers do take the inspiration from others’ work. After all, these days most of the people browse the web from their tablets and smartphones, hence, it is vital for businesses to provide its users a mobile app or website that is compatible with these devices. Keeping the UI design minimalistic is a great way to enamour your target audience. After all, a brilliant UI is crucial to enhance the user experience and it must have all elements that will help users in interacting with your app. This is why the app UI should be appealing and easily accessible. A minimalistic UI design has all the vital elements that are required to offer cognitive experience to the users. UI consists of everything, right from keyboards to the touch screen displays. This is crucial from the user’s side, as your users are not going to keep the mobile app in their phones if the user interface turns clunky. This is the reason that app designers should make it a point to determine the best approach to design UI. It’s Trending: Minimalistic UI design is the trend nowadays and it allows the business apps to stand out among the competitors. The demand right now is really high for Minimal UI design and in the future, it is only going to increase. Boosts user interactivity: With minimal design, one can certainly ensure high-level user interactivity, the reason being here the focus is more on functionalities and features. Higher business value: What a minimal UI design does is that it allure users as well as enhance your business value. Like, if there are several complex elements present in your app, then it will not only destroy user experience but also leads to app abandonment. Usually, a minimalistic UI design is based on the principle of typography and color gradients, sans any special effects. It is in the case of Minimal UI design where the form & function come together in the perfect harmony. Needless to tell that the main driving force to make users use the app, and do it frequently is the user interface and user experience. After all, to be an app that is successful, it not just have to be visually pleasing, but must also be easy to use, and this can best be attained with a minimal design. So, here, let’s find about the key aspects of minimalistic UI Design. Color Schemes: In case of color schemes, one must opt for the simpler ones, as they directly enhance UX (user experience), and overall app stickiness. There are a number of well-established mobile apps out there, which have chosen analogous and monochromatic color schemes. In case of Analogous color schemes, they enable the designer to utilize three colors which lie adjacent to one another on the color wheel. These same colors are used to highlight the design. Here the brightest color is used for most crucial elements & functions, whereas the lightest color is reserved for the least important functions & elements. In the case of Monochromatic scheme, here they use a range of tones, tints, and shades within a particular color. Here the scheme’s brightness & saturation points can also be changed for a different impact altogether. Monochrome: Just as discussed above, the monochromatic color scheme usually involves, different shades, tones, and tines of a specific color. Choosing this scheme allows the designer to include various colors without affecting aesthetics. For instance, we have apps such as LinkedIn and Facebook that makes the best use of blue color in their app design. Typography: Choosing typography defines the kind of user interface that you create and kind of experience that users are going to have with the app. In fact, even Apple App Store understands its importance and includes the same in their guidelines and also recommend to use just one kind of typeface. They believe that in an app mixup, more than one type of font would make the app appear disorienting and sloppy. While deciding on app’s typeface, one must try several font types, in several sizes, and also consider spacing and font length to attain best results and make font readable. Navigation: While designing an app, keep note that navigation icons should be easy to find and easily understandable. They hold a lot of value and weight as it comes to overall app usability. Like, a camera icon demonstrates the app camera, cart icon demonstrates the shopping cart, and thus using something else is only going to leave the customers confused and it would be grossly misleading. Whitespaces: Negative and white spaces tend to be the most crucial element of minimal UI design. This is basically the part of the app page that is left empty or blank in order to create contracts and to help other app elements stand out. 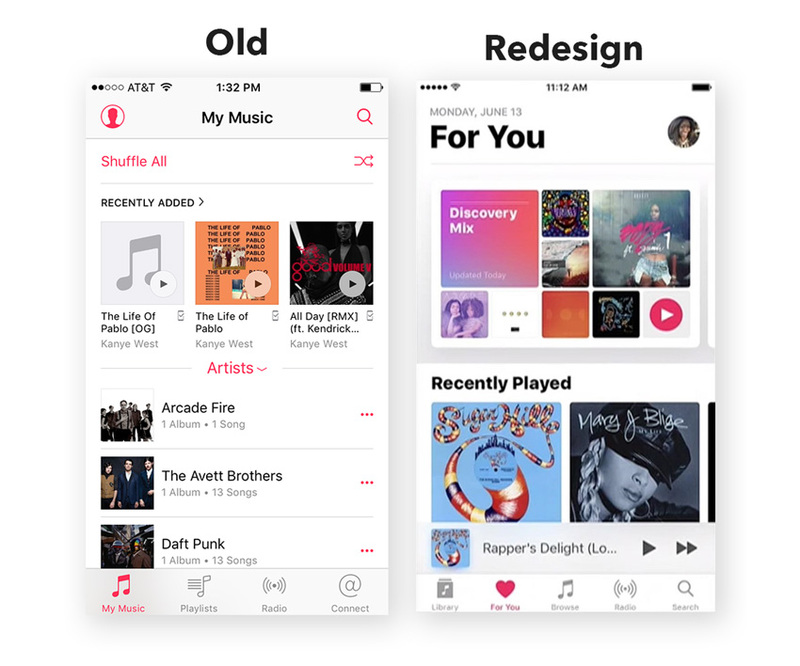 Despite being colorless, the white-spaces are crucial in the design and offer the app designers an ability to use them in a manner that they make the UI all the more unique and set it apart from the competitors. Content and icons should be simple & uncluttered to enhance visual appeal. The key is to be consistent as you create icons as the curves, colors and thickness are needed to be maintained. Here the icons must be unified, clear and places strategically so they highlight crucial parts of an app. Ensure that you are using limited content but still conveying a clear cut message that is both memorable and easily understandable. Data Spotlight: It is a great option that emphasises the crucial piece of content with the use of bright visible hue or large font size. This will easily bring the user’s attention to the key elements such as CTA. Blur: The blur effect helps in leveraging the concept of layers and the interface hierarchy to offer improved user experience. Flat Design: In the minimal design, Flat Design is currently trending. Its most significant feature is applying flat 2D visual details instead of detailed images. Mainly, flat designs have lesser elements and curves, sans any textures and shadows. With this particular approach, it gets easier to create images, buttons, illustrations that appear neat in different screen resolutions and screen sizes. Often designers commit this mistake where they replace the flat design with minimalistic design. So, it is vital to understand that there is a big difference between minimal design and flat design. In the case of Flat design, it consists of icons, illustrations, and buttons, whereas minimal design is about the layout. Instead, one can describe the flat design as a technique for creating minimal UI design. What impact does Minimal UI Design have on App Stickiness? Your app users come back to your app, again and again, is what clearly determines the success of an app. This is why App Stickiness is a tool to measure the popularity of an app. What it does – is it divides the DAU (Daily Active Users) by the MAU (Monthly Active Users). Now, everyone wants to go for High stickiness ratio as this determines that user engagement is really high and users are addicted to your app. For instance, we have Instagram as one of the stickiest mobile apps, owing to its minimal UI design. It is easily understandable, its icons are identifiable, has ample whitespaces and doesn’t distract the users much. It clearly focuses on user’s photos & videos and has zero clutter. One thing to learn from the Instagram app is its “Simplicity”. Thus, keep in mind that as you create an app, keep it really simple. With to-the-point menus & navigation’s, you can make your users stick around more. Also, instead of giving tonnes of options to the users, offer lesser options so they can quickly on-board. What does the future hold for Minimal Design in the Mobile Applications? Today the app developers are making efforts at creating minimal UI that emphasise on the content and navigation instead of the app embellishment. In fact, the trend is here to stay, as the audience really enjoy the simple and functional apps that make their lives easier. These minimal UI design apps allow them to simply pull out their smartphones, open up their much-liked apps and use them. So, if you are considering to get an app for your business, prioritise a minimal approach for the UI design as that ensure elegant typeface, abundant of white space, and simplicity. Final Note: The success of an app highly depends on the alluring app designs that engage the users enough that they stick with the app and visit it time and again. With minimal UI design, results are definite and thus everyone who is building an app must keep these design specifications in mind and even tweak the existing apps as per this. Seek an app development partner that you can trust and who will help you create apps with most wonderful functionalities and designs.